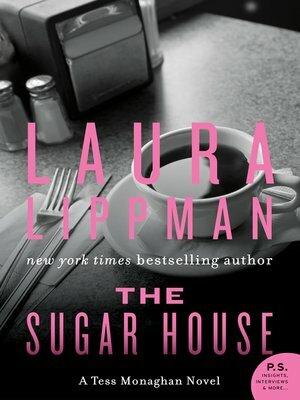 New York Times bestselling author Laura Lippman's Tess Monaghan must solve one of the most baffling murders in her PI career. When Tess Monaghan agrees to talk to Ruthie Dembrow, she senses she'll regret it. If there's anything Tess has learned in her work both as a newspaper reporter and then as a PI, it's to trust your instincts. Still, she can't deny she's intrigued when Ruthie asks her to investigate the fatal stabbing of her brother, Henry, while he was locked away for murdering a teenage runaway over a bottle of glue. Henry's death at the hands of fellow convicts doesn't surprise Tess, but what does is that he was convicted for murdering a "Jane Doe"—something that rarely happens in the judicial system. No ID was found on the victim's body, and her fingerprints didn't match up to any in the national database. How could anyone escape all the identity nets of the modern world? Ruthie is convinced if she learns the identity of her brother's victim, maybe she can also find out why he was killed. Tess's search takes her on a harrowing journey from Baltimore's exclusive Inner Harbor to the seedy neighborhood of Locust Point. But it's the shocking discovery of the runaway's true identity that turns Tess's hunt deadly. Suddenly, her supposedly solved murder case keeps turning up newer, fresher corpses and scarier versions of the Sugar House—places that look so sweet and safe, but only from the outside.